US Court rules Facebook is not responsible for providing a platform for incitement which resulted in murder of Israelis. A US court on Thursday rejected a pair of lawsuits totaling $1 billion against Facebook for failing to prevent and remove incitement to murder Israelis. The legal organization Shurat Hadin, which brought the lawsuit, announced that it would seek to appeal the decision and that it would continue to fight against the incitement which is posted on Facebook. 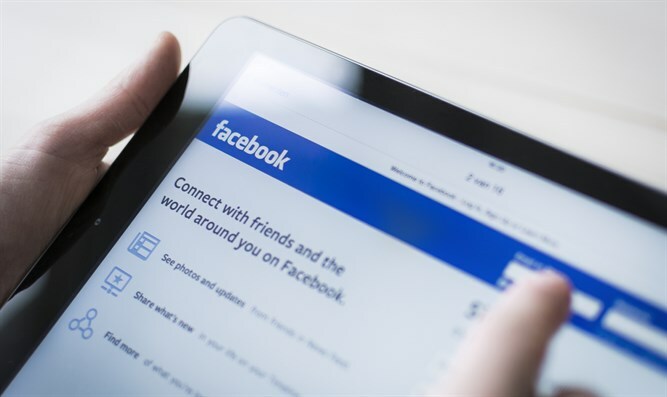 The court accepted Facebook's claim that based on US law Facebook and other social media sites merely serve as platforms for content created by users, and are therefore immune to clams of liability. The court ruled that only the creators of offensive content are liable. "Despite our disappointment with this decision, the fact that the court did not provide an answer against our main argument that Facebook should not provide services to elements that incite to terrorism and extreme violence, as governments and business organizations do, only reinforces our desire to appeal to the Supreme Court of the United States and to hold a broader discussion of Facebook's responsibilities in cases involving human lives," said Shurat Hadin Director Nitsana Darshan-Leitner. The lawsuits, which was filed in July 2016 on behalf of American citizens and their families who were injured or killed in terrorist attacks in Israel, required Facebook to act to remove content which incites to violence and murder in Israel just as it had done in France following the 2015 terrorist attacks in Paris in which 130 people were killed. An investigation by Shurat Hadin showed that Facebook did not act to remove incitement to murder Israelis during the so-called 'knife intifada,' when Many stabbing attacks against Israeli civilians were motivated by posts on social media.